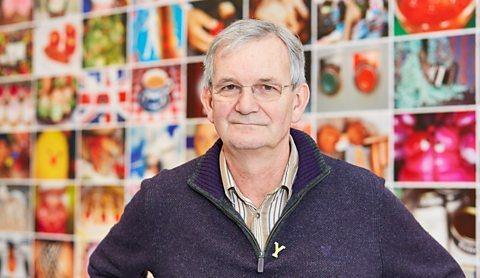 Tate has announced that it is to acquire Martin Parr’s world-renowned collection of photo books. Built up over 25 years, Parr’s collection of over 12,000 photobooks is widely acknowledged as one of the greatest in the world. It covers an unprecedented range of subjects, geographies and types of photographic practice, including many of the most iconic volumes in the history of photography. The acquisition places Tate as an institutional world leader in the representation of photobooks. The collection has been part gifted by Martin Parr and acquired by Tate with the generous support of the LUMA Foundation. Further contributions towards the acquisition have come from Art Fund, Tate Americas Foundation, Tate Members, and Tate’s acquisition committees focused on photography, Asia Pacific, Russia and Eastern Europe, Latin America, and the Middle East and North Africa. The photo book remains one of the most important ways that photographers present and disseminate their work. Showing a number of images in a carefully selected order around a particular theme, these volumes can be seen as historical documents, communication tools, and works of art in their own right. Martin Parr’s collection reflects the full scope of this medium, from canonical series and exquisitely printed portfolios by renowned photographers like Hans Bellmer, Nobuyoshi Araki and Robert Frank, to self-published amateur work and mass-produced commercial books. It also offers a wide variety of examples of printing, binding, typography, paper, design and sequencing. The acquisition of Parr’s collection marks a significant step forward in Tate’s ongoing commitment to photography. In recent years, photographs have become more fully integrated into displays and exhibitions across all Tate’s galleries, reflecting the medium’s ever more important role in contemporary artistic practices and international visual culture. The acquisition also highlights LUMA’s support of publishing and photography, expressed through the LUMA Rencontres Dummy Book Award [created in partnership with the international photography festival, les Rencontres d’Arles] and the two annual Offprint events for independent publishers held at Tate Modern in London and the Beaux-Arts in Paris.